Are you ready for yet another massive Color Club glitter spam? A couple of weeks ago, I posted the Backstage Pass collection but of course you know these weren't the only glitters the brand has released this season. They are all but Holiday Splendor suspended in a clear base and except for Jingle Jangle and Candy Cane are packed with holographic glitter... Seriously eye catching! I layered the clear based ones over a pastel matching shade and used one coat of glitter plus topcoat for these swatches. 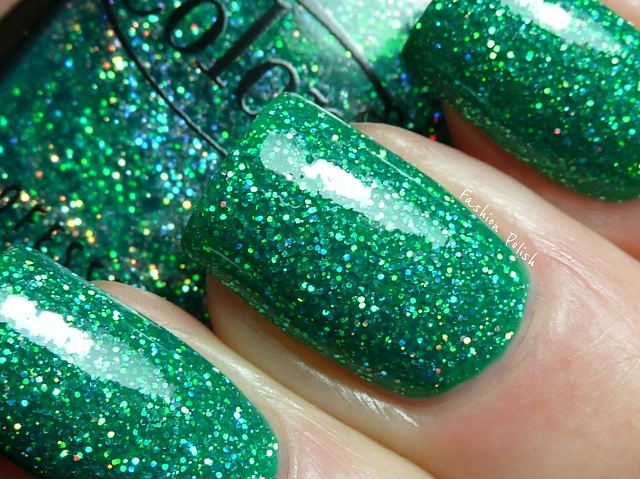 Holiday Splendor easily built up to full opacity on its own so I didn't layer it but used 2 coats, plus topcoat, instead. I thought I would have gone on glitter overload by now but this collection is really amazing. Simply gorgeous! A little diferent than the onw Ive seen so far. Makes me want to have all, but sugarplum fairy and gingerbread the most. I love all of these! I really like how you layered them for the swatches. It really makes me look at them a different way. Every other blog has them by themselves. Thanks for the swatches Fashion Polish! I agree! I really like the way you showed these over a base color. They are all so pretty, and your nails look great! Very pretty!! I just got this collection and can't wait to try them out! Wow they look amazing! My friend got me the collection and I haven't tried them out yet! From your pictures, I can't wait! Stunning!!! They are all so pretty! I need to go see if I can find some of these! Awesome swatches! Love the way you layered them! It actually makes me want this collection now. Don't have these in my area, sadly. I really like the pastel-toned ones! I also Love how you layered them over polishes in the same color group. Pretty! 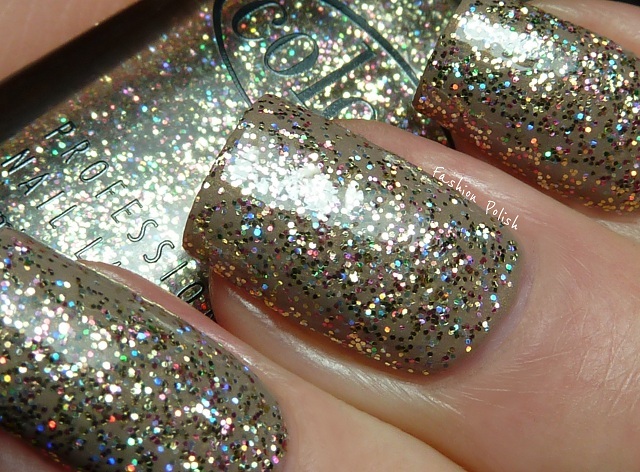 loooove the first 2 and last 2...wowzer, this makes my heart patter with love for glitters! Holiday Splendor is gorgeous. Beautiful swatches. I really like your layering choices. I have worn these solo and loved them, but I love the single coat over a pastel base. Oh goodness. These sparkles look beautiful. It's been said already, it is absolutely great how you show them layered over perfectly matched base colors. This is the way they're suppose to be worn, in my opinion. This post totally shows them in all their splendor. Great idea, Sam! Now you did it again, (you lovely enabler! ;-)), now it will really be hard to resist to buy them all, I can't even pick a favorite, can you???? Happy NYE, an a prosperous 2012 to you and your family!!! I love how subtle the glitters are! You did such an awesome job layering! Particularly with Gingerbread. Beautiful swatches! All of the colors look amazing! Beautiful polishes, I'm new to this blog so I must ask, probably already been asked, how do you keep your cuticles soooo perfect! I've never seen such a perfect manicure! I passed on this collection and now I'm seriously regretting it! You have the most gorgeous swatches! OMG! Sugarplum Fairy and Gingerbread are amazing!